You don’t always have to do an entire kitchen remodel to have a kitchen that feels new and updated. Doing some updates to your kitchen can revitalize it and maybe even keep you from moving to a better kitchen. By pulling colors from adjacent aspects of the house, you can tie your kitchen into a cohesive layout. Often, by just refacing your cabinets, you can have a kitchen you want without tearing a wall out or completely replacing your cabinets! One of the biggest benefits of refacing your cabinets is that you are leaving them mostly intact and in the same place. 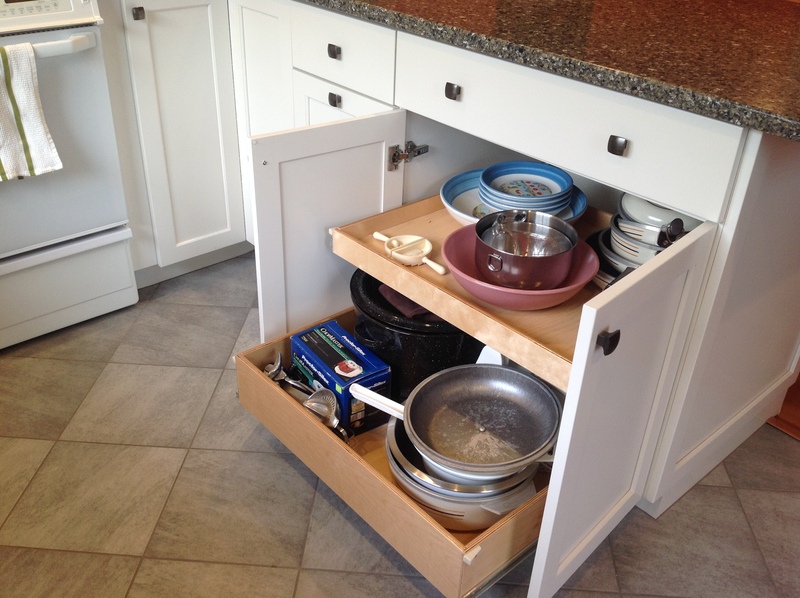 This will greatly reduce the cost of changing up the cabinets, be much less of a mess, no worries about the flooring underneath the cabinets, and less wasteful. So as long as storage or arrangement are not your concerns, and the structural integrity of your cabinets is intact, refacing is definitely the best way to handle kitchen cabinet updates. 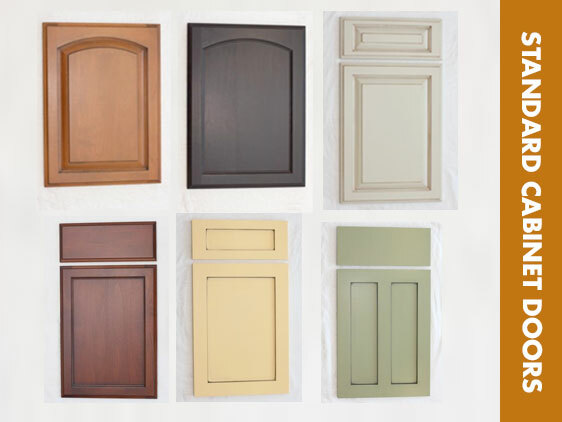 Often, the changes that are made to cabinets during a refacing job are new door fronts, changing the wood type, color, and style, as well as replacing the hardware, knobs, and pulls to tie the style together. Sometimes even changing the storage structure of drawers can be a great update was well. 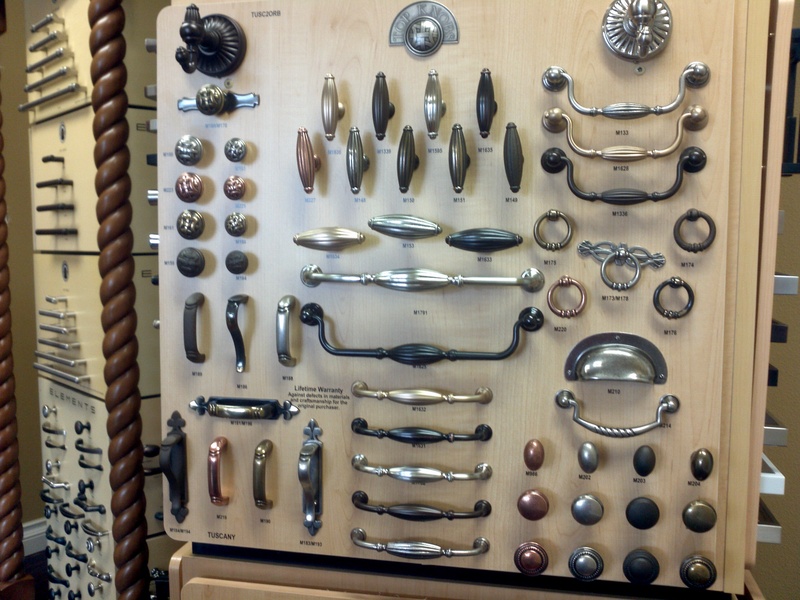 Replacing and repairing parts of the cabinets may be a part of the process if necessary. 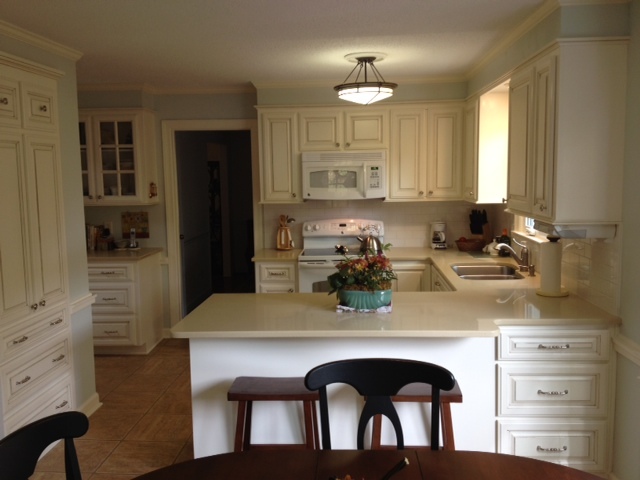 What exactly happens during a refacing project depends on the wants and needs of the kitchen. 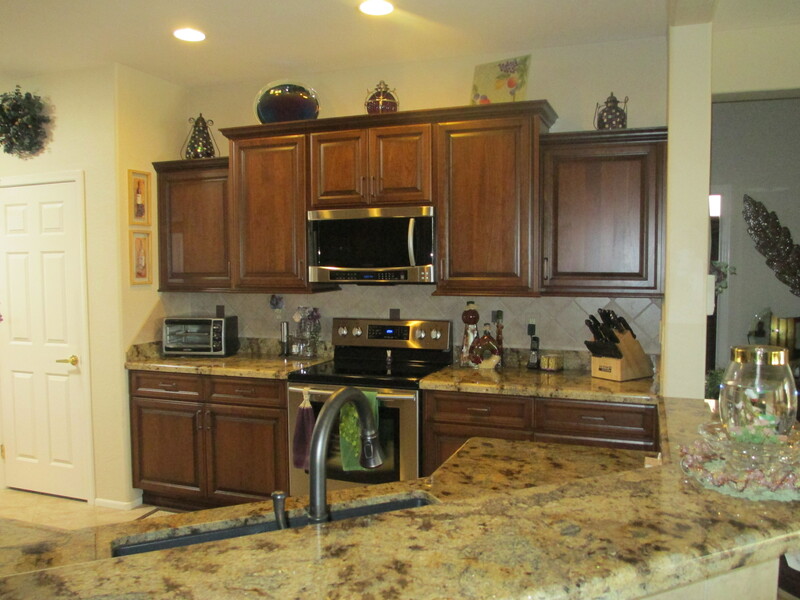 The main elements of the kitchen will stay the same, but even just refacing the cabinets can create a huge improvement. However, if you want to do more, replacing the backsplash to something more contemporary, a bit of paint on the wall, or a new countertop can make a world of difference. The most important part of any kind of redesign is making sure the elements come together and match. After deciding what you are not going to change, base the redesign around those elements. As an example, if you have all black appliances, you should take that into consideration when pairing cabinet faces. Too many dark colors can make a kitchen feel very small, so a lighter wood may be a better choice for something like that. There are infinite possibilities when redesigning a kitchen and choosing the right elements to change can save money, time, and help you love your kitchen again.